This month I’m sharing stories from my paranormal/horror universe. Today I’m continuing with the one from the last couple weeks, with Sara from “Tim and Sara” and Alec from “The Kindness of Strangers.” Schizophrenic Sara has met not-quite-human Alec and fallen in love with him. In this scene, she’s taking him home to meet her twin brother. Sara sat on the couch next to Alec, staring up at him like a dog at its master. I’d never seen her like this, and I didn’t like it. His voice was low, seductive, mocking me. I could see immediately how this would appeal to someone like my sister, and my dislike for him grew into hate. Not-quite-human Alec loves driving around the country, causing trouble. Tonight he’s picked up Brianna at a bar in Indiana and is about to drive her home. Brianna shivered in the cool night air, and Alec wrapped his arm around her, his nails biting into her flesh. She whimpered at the pain, and he licked his lips. “This way, my dear,” he said as he led her over to a black Corvette, ignoring her slight gasp as she saw what he drove; he was used to that. Like a gentleman, he opened the door for her, then slammed it shut as soon as she was in. He got in, put the keys in the ignition, and turned to face her. Alec nodded but offered no explanation. New month, new Weekend Writing Warriors theme! 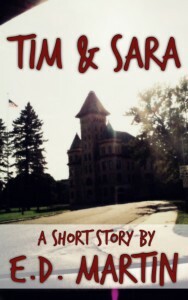 For June, I’m going to pull from my horror/paranormal universe stories, starting with an excerpt from “Tim and Sara,” a short story I published a couple years ago. In this scene, Tim has gotten them kicked off the bus at a station in the middle of nowhere. They’re waiting to catch another bus the next day. I wake in the middle of the night to a station lobby that’s empty, lights off but the parking lot streetlights provide more than enough illumination in here. Sara lies next to me, curled in a ball, hair in her face. I reach over, brush it off and behind her ear. Her face is relaxed as she sleeps, peaceful. I stretch, return to sleep but I’m awakened by a loud noise. I open my eyes, afraid to move. Sara is in the corner, pleading with someone who may not even be there, stomping her feet, crying. I know I should help her but I’m afraid of her voices, afraid of what they might make her do if they find out I’m listening. Get a copy of the story to find out what the voices make her do! Then post a link to your eight sentences blog entry, or join the fun at the Weekend Writing Warriors website. And make sure you get a copy of my short story, “Not My Thing.” It’s currently free at Smashwords and Barnes and Noble (Amazon is still dragging their feet with the permafree thing, but you can get a Kindle version at Smashwords). Continuing on with the Viking theme, here’s an excerpt from a short story I’m working on, “There Are No Vikings in Montana.” Jill has been seeing some weird stuff recently – a chupacabra and a walking tree, among other things – and now she thinks she’s seeing a Viking too. She’s finally confronted him, and he’s informed her the tree is actually a dryad. “A dryad,” I repeated, my tone dripping with disbelief. Again, his look that implied I was an idiot. In this story, Laura left her friend’s party after seeing her ex with another girl. It started raining as she was walking down the road, and a stranger offered her a ride and a chance to vent. He then gave her a powder that would ensure no one bothered her ex again. Now she’s back at the party, looking for her ex. She grabbed an abandoned cup of beer as she walked and dumped the packet’s contents into it. The beer fizzed, turned black, then amber again. In this story, Laura left her friend’s party after seeing her ex with another girl. It started raining as she was walking down the road, and Alec offered her a ride, and a chance to vent. Last week he gave her a powder that would ensure no one bothered her ex again. Alec let go of her. She massaged her burning skin, and when she looked up, Alec and the car were gone; just Laura, standing on the edge of the road. 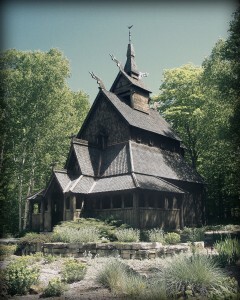 She turned, walked with deliberate steps back to the farmhouse. Inside the crowd had disappeared, only her friend Megan left sprawled on the couch. “Laura, where have you been all night?” Megan asked as she sprung up from the couch.